What makes for a perfect Low Noise Amplifier (LNA) MMIC for your microwave system? The answer could be right under your noise figure. Low Noise Amplifiers (LNAs) are a critical component in virtually all radar, wireless communications and instrumentation systems. 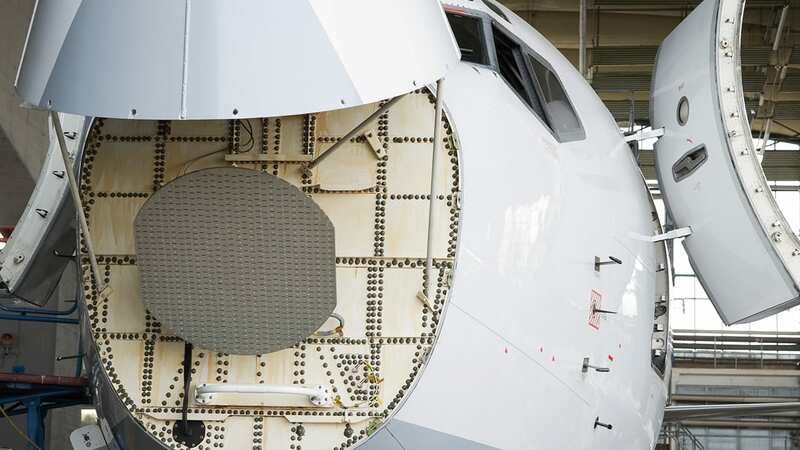 But while the noise figure (NF) performance is often your primary focus, other microwave system considerations related to performance and size, weight, power and cost (SWaP-C) can be equally, if not more important. In this blog we’ll describe a few other key characteristics that may help you save time during your design cycle, save money during assembly, and even enhance your microwave assembly or subsystem at-large. Specifically in military and aerospace radar and communications applications, where electronic countermeasures (ECMs) may be used to overwhelm a receiver, a receiver must be capable of withstanding high levels of input power for varying intervals of time. Active or passive jamming can cause levels of noise and frequency bursts that couple large amounts of broadband or frequency-selective interference into a receiver. Moreover, in these applications there is often a high-power transmitter in close proximity to the receiver, which can lead to substantial coupling and power ingress into the receiver front end. A common method to reduce the impact of critically high input powers to a receiver is to include a limiter or circulator on the input of a receiver chain. An unfortunate side effect of adding anything prior to the LNA in the receiver is the degradation of the overall system noise figure. These signal chain additions reduce the sensitivity of the receiver, which may shorten communications range, throughput, radar range and accuracy, and cause delays in acquiring mission critical information. A great 1 dB system noise figure can effectively become 2 dB or more when adding protection circuitry. It’s thus very important to consider an LNA’s highest input power handling (or input survivability). Most LNAs can handle only 10-15 dBm pulsed on their input, but the highest achievers are now surviving 20 dBm continuously and 23-25 dBm pulsed and can help you eliminate the protection circuitry. Gain flatness across your required band is essential to achieve required inter-symbol-interference (ISI) levels and optimal range performance. As costly equalizers are often employed to compensate for the downward gain slope of typical LNAs, positive gain slope LNAs reduce that need. Another factor to consider is gain stability over temperature. In applications such as aerospace communications, and SatCom, operating temperature can exceed 180 degrees F of variation within a short time window. Temperature changes that are significant can affect an LNA by more than just changing the noise figure of the device and system; they can vary the frequency-dependent gain of the LNA. For example, large-phased array antennas may have thousands of TR modules, with many of the modules exposed to a variety of temperature gradients. If the communications system relies on gain stability throughout the TR modules, and the LNAs gain stability is temperature dependent, the system may suffer a significant loss in performance. Properly biasing a MMIC amplifier is critical to achieving adequate device performance. Depending upon the particular LNA design, the biasing circuitry could be composed of a positive and negative biasing circuit with temperature compensation. Some LNA MMICs have the biasing and compensation circuitry built in, but a positive and negative voltage supply must be provided to the exact specification for the biasing network to operate properly. When designing at a system-level for a large RF or microwave assembly, many different voltage supplies may be required. Certain design constraints may also limit the noise and stability performance of those power supplies, which may impact the practical LNA performance due to limited power supply rejection ratio (PSRR). To avoid this, additional circuitry may be used to condition the voltage supplies for a given LNA MMIC. Each of these circuits and connection points introduces a potential failure mode to the voltage supplies, and thus impacts system reliability. These supply-voltage circuits also consume valuable assembly real estate and power, contribute to the overall size/weight of the assembly, add costs, and of course, consume design and test time. In order to reduce the infrastructure necessary to integrate a MMIC LNA into a microwave assembly, engineers at Custom MMIC have applied innovative circuit-design techniques. The designs they have implemented, which only require a single positive voltage supply, also enable a wide range of voltage input for even greater flexibility. All of the necessary circuitry to properly bias these LNAs is integrated into the MMIC itself. Ultimately, when your MMIC requires only a single positive supply voltage it reduces your bill-of-material, overall system complexity, failure modes, and overall system SWaP-C. In mobile platforms, including aerospace and satellite communications, power constraints are also a system-wide limitation that often dictates what solutions can be used. Moreover, for these applications, the power requirements of the components directly lead to the overall size and cost of the power generation circuits, and hence, the total system SWAP-C. An example of this concept is seen with satellite communications. The power required by a phased-array antenna must be generated by solar cells mounted on the satellite, which is one of the largest contributing factors of satellite weight and size. As launching satellites costs thousands to tens of thousands of dollars per kilogram, reducing the weight of a satellite system can directly influence the cost-per-bit of high-speed satellite communication services. PHILADELPHIA – INTERNATIONAL MICROWAVE SYMPOSIUM (IMS) – June 12, 2018 – In IMS Booth #1349, pSemiTM Corporation (formerly known as Peregrine Semiconductor), a Murata company focused on semiconductor integration, introduces a family of switch + low-noise amplifier (LNA) modules for 5G massive multiple-input, multiple-output (MIMO) base stations. With an ultra-low noise figure and excellent input power handling, these modules are ideal for protecting remote radio units that operate in the sub-6 GHz frequency bands. The switch + LNA modules—the PE53111, PE53211, PE53110 and PE53210—support sub-6 GHz 5G new radio (NR) bands and meet the stringent RF system requirements of massive MIMO base stations. The PE53111 and the PE53211 cover a frequency range from 2.3 to 2.7 GHz (bands 40, 41, n7, n38, n41), while the PE53110 and PE53210 extend from 3.3 to 3.8 GHz (bands 42, 43, n78). In a single-channel or dual-channel configuration, the receiver modules integrate two-channel LNAs with bypass function and high-power switches. An on-chip, fail-safe switch—with over 5W average power handling—improves the overall robustness of the receive channels. Design engineers can control each channel individually within the selected frequency band, offering flexibility in the overall system design. Regarding performance, the pSemi switch + LNA modules deliver a very low noise figure, high linearity and low power consumption. The modules offer ESD protection up to 1kV HBM and operate in environments up to 105 degrees Celsius. Offered in a 32-lead, 5 x 5 mm LGA package, the PE53111, PE53211, PE53110 and PE53210 are now available as engineering samples. Contact sales@psemi.com to request samples. Visit pSemi at IMS booth #1349 to see the switch + LNA modules on display.